We are pleased to welcome Melina Perez to the OG team! Melina will be our Motion Graphics Designer, joining our award-winning creative team upstairs. Melina is a graduate of Ringling College of Art & Design in Sarasota, Florida, where she graduated with a BFA in Motion Design in 2015. She brings with her several years of experience as a freelance animator and video producer, most recently at Epic Dog Studios in Bradenton, Florida. As a Motion Graphics Designer, Melina creates videos using iconography, video clips, stock footage, original photos, kinetic typography, and screen shots and recordings to create animated video features. 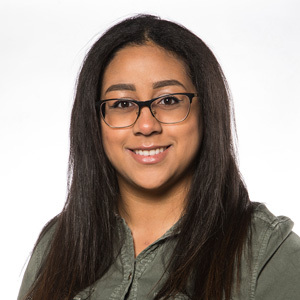 Melina’s incredible skills complement that of our existing design team, and we’re super pleased able to provide even more in-house expertise in this growing field. Please join us in welcoming Melina!